We're getting closer everyday, looking forward for having this in my steam library. I hope the beta testers do their best to find any bugs, glitches and so on. Now it's just a matter of time, waiting patiently. Here comes the hype train everyone! CHOO CHOOOO!!!!! Can't wait to see the reviews on October 1st! 12,99 USD, Let's wait the Dollar decrease your valor, Here in Brazil every players are very sad, because $ 12,99 USD is R$ 50,40 BRL, i'll buy the game, I love this game! That's an insane value for a Steam game by the way. it doesn't seem like anyone would buy a R$ 50,40 BRL game here (or I'm probably being too hard, but at least 80% of the players would be lost I think), but that's uh, just the expected value. However, many games on Steam have their prices adapted, I'll take Terraria as an example. Its original dollar value is US$ 9,99. An OK price there I suppose, I don't know how are things there. The price expected is supposed to be R$ 38,73, that would be way more a bitter price here than it looks, as you can see above. That's half bitter to pay for a nice 2D game. R$ 38.73 became R$ 19,99, and there aren't any sales. Taking just the currency without considering anything else like cost of living or the country crisis is not a good way to sell the game over many regions, for that reason they adapt the price in many games. Anyways, people from Latin America cannot buy games as gifts to people from other countries, and if you buy a game in Brazil you can only play it in Brazil and in some other few frontier countries, so you can not abuse the adapted prices. Well, we can only hope this game gets its price adapted, just like this. Well, I waited almost 6 years for this, I can't wait to buy this game. 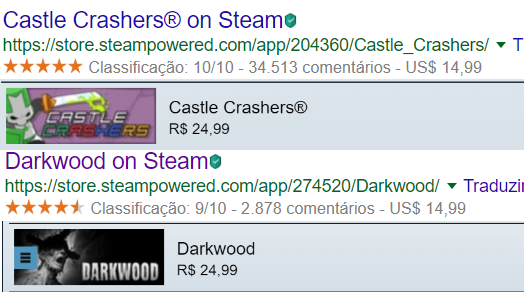 Steam usually, at max, doubles the price in BRL (brazilian currency), although it's more common to see them even a bit cheaper, maybe it even costs 20 BRL, because as you can see 15 dollars is the equivalent of 25 BRL on Steam. Anyway, I hope to see a 4-copy pack to send to my friends. Steam Wallet ready, ready to buy several copies! Last edited by Alexbra25 on Thu Jul 12, 2018 6:29 am, edited 2 times in total. I still think it's a pretty accessible price from my point of view (although I'd pay any price xd), I believe here in Brazil it would cost around 20-30 BRL. I hope to see a 4-copy pack to send to my friends. Welp great ;/ Now you have to buy the game which means i absolutely can't play it anymore . Shame i really loved the game and have even played before Deluxe came out (the browser version). Excited for the release, just watched through the Steam video and was just wanting to ask whether having a player named "i want to die" in the first gameplay of the game a lot of new players will watch is a good idea. Looking forward to seeing updates on campaigns and AI too. I'd imagine the current video is just placeholder showing off the combat, they'll probably do a proper trailer when campaign mode is complete enough to get some footage. Remember like a year ago when Getting a steam release was practically unheard of? Even though i dont agree with the design choices you have made over the years i am still pretty glad to see it be released on steam. Fixed. The new price in Brazil will be R$24.99. SIR THE PRICE IS WAY TOO HIGH!!!! I made a post addressing this issue that people will think the price is too high. I personally think it is 100% worth it however we all think differently. But as @Rick Sanchez once said “$13 for ended versus fun is worth $13”. I just spent 14$ This morning going out to breakfeast with a couple of my mates. Do you think I had to go out to breakfast? No. I didn’t have to spend 14$ of a food or drink I would consume only once. 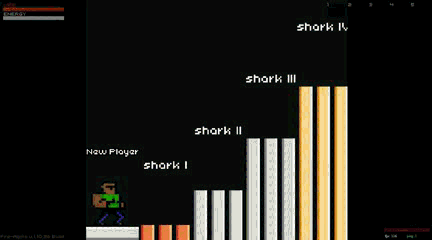 Superfighters Deluxe however, you will have forever. It will entertain you for hours on end. And that ,my friend, is worth it.